Updates about Ark of Hope for Children's programs plus global news relating to our focus areas of child abuse, child trafficking or bullying. Ark of Hope for Children likes the idea of this holiday because they are noting the many children in need, in addition to all children. So Ark of Hope has chosen to join in the celebration of National Children’s Day 2017 which is on June 11. 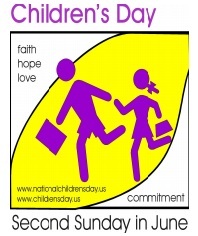 To celebrate we have chosen National Children’s Day 2017 as the day we are formally announcing the release of our first book, Removing Chains of Child Abuse! Every year more than 3.6 million referrals are made to child protection agencies involving more than 6.6 million children (a referral can include multiple children). The United States has one of the worst records among industrialized nations. A staggering 2.5 million children are now homeless each year in America. This historic high represents one in every 30 children in the United States. And Ark of Hope notes that a very high percentage of homeless children have run away from an abusive situation at home. Removing Chains of Child Abuse is the first book of many in our Restoring Hope book series. The purpose of the book is to give people that have been victimized as children their voice to speak out about any portion of what they have been through. To allow them a voice that was once silenced to proclaim their feelings about whatever portion they choose of what they lived through. Whether they be survivors of child abuse, human trafficking or bullying, they matter and need to be heard. So it is Ark of Hope for Children’s honor to give survivors a platform through the #RestoringHope series to use short stories, poetry or art to share with the world. It is also very humbling for us to know that many other survivors, some that are still silent, will be able to read that they are not alone. Perhaps they will be inspired to submit something for our next volume of the Restoring Hope series. We hope you will order your copy of Removing Chains of Child Abuse to honor these survivors. The book is available through this link as a soft cover or E-book, as well as a 30 day journal! 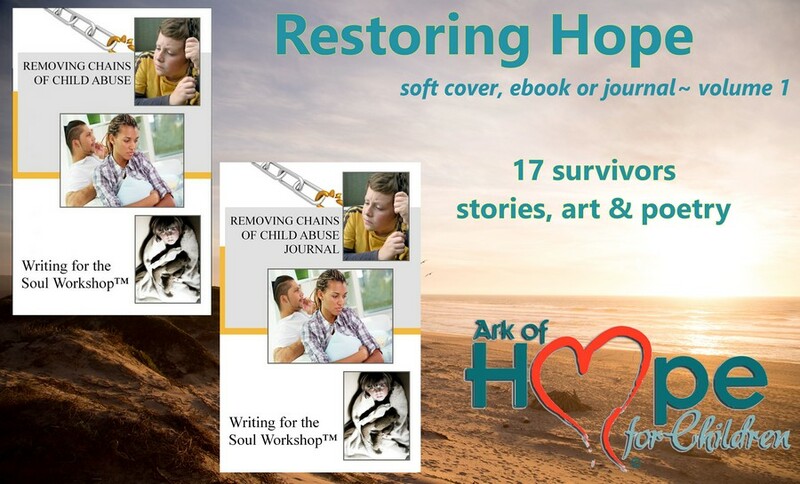 Please join us in the Army of Hope in supporting the seventeen survivors that offered a piece of themselves to be shared in Restoring Hope; Volume One.